Sivell InterActive � Applications On RIM � Are Secure . . .
Sivell InterActive� applications run as either an ASP or stand-alone on a local or remote server utilizing encrypted and highly compressed data transactions within secure local or wide area wireless networks utilizing the latest in VPN architecture. RIM� (Research In Motion) openly states RIM� Blackberry data passes through Canadian RIM� servers prior to receipt on either your server or on RIM� Blackberry data terminals. Sivell has developed a higher level of data security to meet our customer's needs. 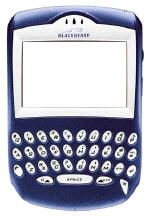 In order to accomplish an acceptable level of security within RIM's� OS (operating system) Sivell integrated our own protocols in RIM terminals to enable them to communicate directly with either your server or Sivell ASP servers without data being routed to RIM's Canadian Blackberry servers. Sivell InterActive� applications operate within CDMA, TDMA, GPRS, Mobitex� and Sivell's VPN wireless networks to assure your data does not travel beyond secure paths.